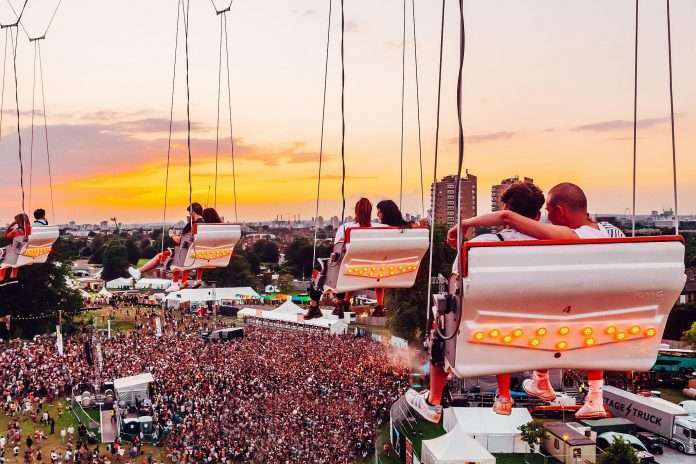 Mighty Hoopla today announces its glorious return, confirming the first wave of artists and club nights that will join over 20,000 revellers coming together at Brockwell Park on Saturday June 8th. With early names spanning the likes of All Saints, Bananarama, Samantha Mumba and Tove Lo to Sink The Pink, Guilty Pleasures, Cocoa Butter Club and Hungama, Mighty Hoopla will unveil its headliner alongside further acts in the coming weeks. Early-bird tickets are on sale for a limited time now via www.mightyhoopla.com. Since its inception in 2016, Mighty Hoopla has led the charge to become not only the most colourful party in the capital, but a thrilling space in which all walks of life (not to mention pop royalty) stand side-by-side with London’s most subversive, alternative nightlife. Having brought the likes of Years & Years, Lily Allen, TLC, Melanie C and a host of household names and underground icons to the stage thus far, Mighty Hoopla’s is a philosophy that looks set to be bigger, better, wilder and free-er than ever this June. Also among the first artists announced for Mighty Hoopla’s 2019 bill is Jamelia, the four-time-MOBO-winning singer, presenter and broacaster, who makes a rare return to the live arena to perform gilded R&B classics like ‘Superstar’ and ‘See It In A Boy’s Eyes’. Samantha Mumba will bring her long-anticipated musical comeback to London at this year’s event – having landed, according to Billboard, one of ‘100 Catchiest Choruses of the 21st Century’, expect to have the likes of ‘Gotta Tell You’ running circles round your head all day. And finally, Liberty X look set to conjure up memories of cat-suits, canes, and solid pop bangers with crowd favourites such as ‘Just A Little’ and ‘Being Nobody’. Just as important across its first lineup reveal, Mighty Hoopla looks set to pull its celebration of London’s alternative club culture into even clearer focus. Festival-founders Sink The Pink return, the vanguard collective whose anything-goes-parties have taken a burgeoning underworld into the thrilling, transgressive point of cultural dialogue that drag finds itself in 2019. Guilty Pleasures, too, will travel their unapologetic, endlessly entertaining club-night from their iconic monthly KOKO residency “down south”. Mighty Hoopla will also welcome nights including Cocoa Butter Club (burlesque, comedy, and music celebrating performers of colour), The Grand (Clapham’s premiere pop experience) and Hungama (queer culture meets Bollywood in a name loosely translating to ‘chaos’ in Urdu). Only at Mighty Hoopla are punters as likely to stumble into Massaoke (indie singalongs set to a live-band) or pop-up-turned-Camberwell-staple The Chateau as they are Barcelona’s fiesta of flamboyance, Pluma, or We Love Pop’s Fascination-helmed floor-fillers. Previous articleMarie Davidson announces “Nina Kraviz x Afrodeutsche Remixes” 12″, out this Friday, 1st February.